Back in 2006 when I wrote my book The Gabriel Method, I talked a lot about how toxins can cause your body to hold onto weight. At the time it was a radical notion, but it’s now become generally accepted that toxins are a major impediment to losing weight. Our body stores toxins in our fat cells. So if you’re taking in more toxins each day than you are eliminating, your body will resist burning fat. Why? Because burning fat will dump even more toxins into your bloodstream and make it even harder to detoxify. Toxins also cause inflammation, excessive growth of unfriendly bacteria in your intestines, leaky gut syndrome, fatty liver syndrome and other side effects all of which turn ON your FAT Programs. In recent years, detoxing has become very trendy. But there’s definitely a right way and a wrong way to do it. What I recommend prior to doing any type of detoxification program is to start living a detoxification lifestyle. A detoxification lifestyle means taking less toxins in each day that you are eliminating. You can achieve this by drinking green juices (to help flush out your systems), eating fermented veggies, eating live vibrant non-processed detoxifying foods, taking digestive enzymes and probiotics, and increasing your water intake. For a full explanation of how to live a detoxification lifestyle watch the video above. By living a detoxification lifestyle, your body will get healthier over time and no longer crave the processed junk food that you might currently be eating. Slowly the inflammation goes away, the unfriendly bacteria get replaced with friendly bacteria, leaky gut gets repaired, your liver regains the ability to burn fat and it becomes so much easier to let go of weight. 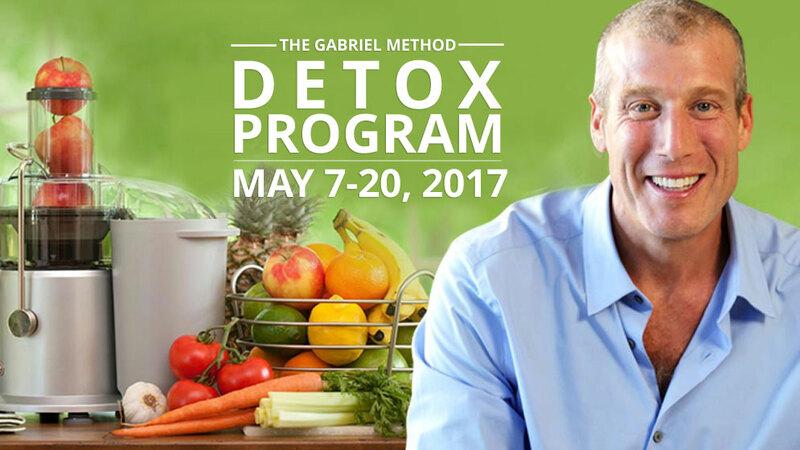 You may want to also consider joining us for the upcoming Gabriel Method Detox program. A detox can be the perfect way to give your body the time it needs to heal,recuperate, re-energise and jumpstart your weight loss. A detox that’s done the right way can take years of your life, reset your hormones and make it so much easier to lose weight and keep it off. But the trick is, it has to be done correctly. You can learn more about our unique approach to detoxing and the upcoming Gabriel Method Detox here. I’d love to hear your thoughts…Please join the conversation by commenting below.